The S9 Escape™ with H5i Heated Humidifier features user-friendly technology to enhance your breathing comfort and reduce system noise. Designed for a more natural breathing experience, the S9 Escape delivers whisper-quiet therapy in a smooth waveform. This means a more restful night for both you and your partner. 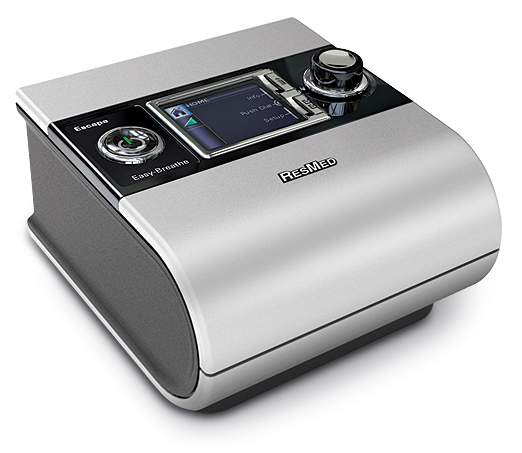 EPR™ (expiratory pressure relief) is an effective alternative to continuous positive airway pressure (CPAP) therapy. When the patient exhales, the S8 device detects the beginning of exhalation and reduces motor speed to drop pressure. The patient can choose one of three comfort levels to determine the degree by which pressure will drop. Be the first to submit a customer review for this item!